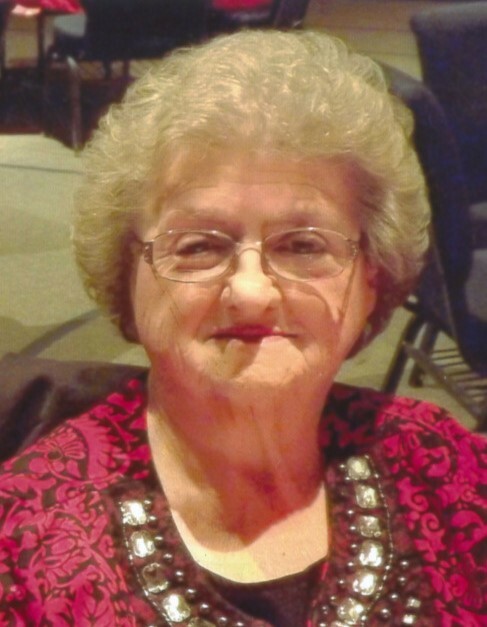 Loretta Lou Shipman, age 83, of Painesville, went home to be with the Lord on Tuesday, February 12, 2019. She was born to Leo B. Jones, Sr. and Anna (Hamilton) Jones on May 23, 1935 in Wendall, WV. She graduated from Riverside High School in 1953. She married the love of her life, Jack Shipman, on August 21, 1954. She was a member of Lakeside Baptist Church for 61 years. She enjoyed being a Sunday school teacher and church clerk for many years. Throughout the years she lived a full and active life, she loved music and gospel songs about her Lord and Savior. She was an amazing wife, mother and grandmother for that she will be dearly missed. Loretta is survived by her husband of 64 years, Jack J. Shipman; daughters, Christine (Skip) Wise of York, PA, Donna Shipman, of Painesville; daughter-in-law, Tami Shipman of Painesville; grandchildren, Philip (Bethany) Ford, Rachelle Ford, Dillon Shipman and Jacob Shipman; great grandchildren, Eithen Ford and Bella Ford. Loving aunt to many nieces and nephews. She was preceded in death by her Parents, Leo B. Jones, Sr., Anna Jones; son, Douglas Shipman; brother, Leo B. Jones, Jr.; In-Laws, Mae Shipman, Loyd Shipman; cousins, Mary Skinner and Robert Green. Family will receive friends from 4:00-7:00 pm on Friday, February 15, 2019 at Spear-Mulqueeny Funeral Home, 667 Mentor Avenue, Painesville. Funeral service will be held at Lakeside Baptist Church, 306 Fairport Nursery Road, Painesville at 9: 00 am on Saturday, February 16, 2019. Interment will be at Perry Cemetery. In lieu of flowers, memorial donations may be made to Hospice of the Western Reserve, 17876 St. Clair Avenue, Cleveland, OH 44110. The family wishes to extend their gratitude to Hospice of the Western Reserve at the David Simpson House for their love, care and support.